You can still us contact us via the form below or via our Facebook page – https://www.facebook.com/BleuDeToi.AllMyLoveForYou – if you have questions. 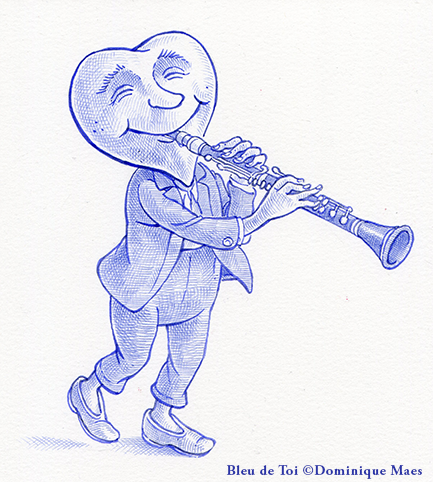 Dominique Maes composed and performed the music on bass clarinet for All my Love (for You). Page 1 (preface): Clicking on the word “secret” reveals a synoptic table of secrets and surprises. Page 2: Clicking on the box with an arrow makes a moon appear, a reference to Luna, Dominique’s daughter. 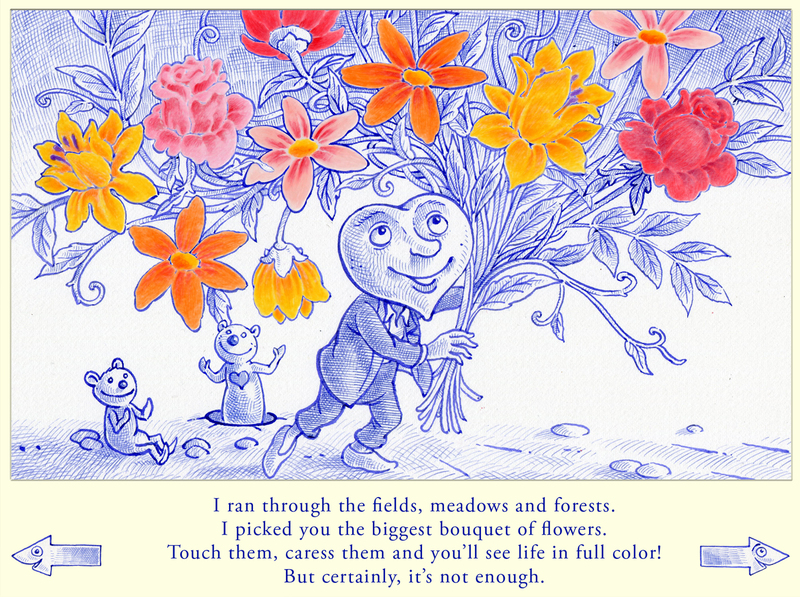 Page 3: Once all the flowers are colored, a marmot appears, leading readers to a magical flower coloring page. Page 4: The egg contains a little winged heart. 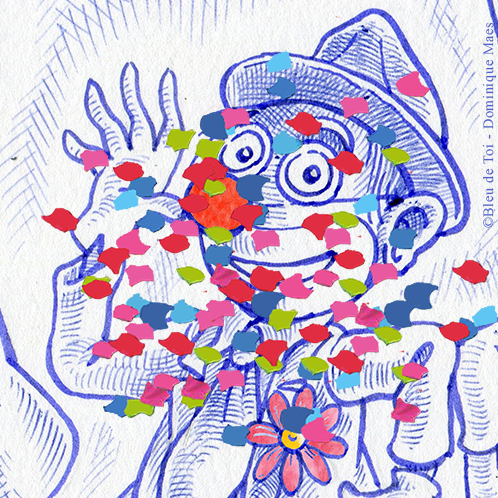 Page 8: A trickster clown sprays the reader with confetti; the screen needs to be wiped clean with a finger to continue the adventure. You might also recognize the melody of Papageno (The Enchanted Flute) by brushing a finger over the bird-headed biped. Page 12: An L-shaped page, a real brain teaser for our in house developer! The body contains short, soothing videos and pictures of the family you can add in the “Parents” section. Page 13: The riddle to open the treasure can be found in the bottle; Clicking on the submarine’s periscope gives readers access to the under sea world of All my Love (for You). All my Love for You – page13 – helps develop lateral, “out of the box” (or here “out of the screen”) thinking.